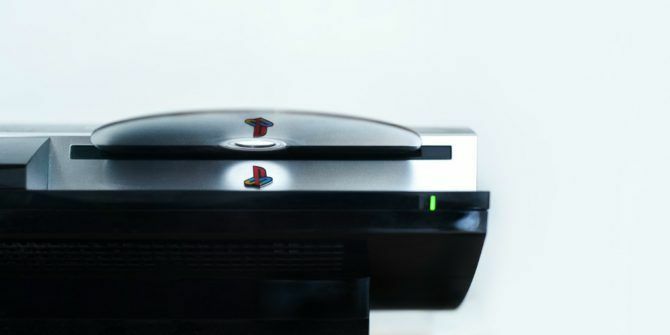 If you own an old PlayStation 3, the original “fat” one before it slimmed down, then Sony could owe you up to $65. Unfortunately, there are a few hurdles to jump through, and you only have until April 15, 2018 to stake your claim for compensation. Class-action lawsuits are very common these days, and they can involve thousands of people, and drag on for years. For the last few years Sony has faced one such lawsuit, and it’s all because the company removed the ability to install Linux on a PS3. Did You Install Linux on a PS3? When Sony released the PS3 in 2006 it was touted as a computer. This was partly due to the “OtherOS” feature, which let you partition the hard drive and install Linux on it. Unfortunately, in 2010, Sony released an update which killed that feature. Despite the fact that very few people ever made use of the “OtherOS” feature, a small group of users sued Sony for false advertising and more besides. And after years of legal wrangling, Sony has agreed to pay out a total of $3.75 million. In October 2016, we reported how claims were being split Own an Original PS3? Sony May Owe You Money in This Class-Action Lawsuit Own an Original PS3? Sony May Owe You Money in This Class-Action Lawsuit If you bought an original model PS3 between 2006 and 2010, you're entitled to some money from Sony. Here's what you need to know. Read More , with $55 awarded to those who could prove they had installed Linux, and $9 to those who just owned a “fat” PS3. That has now changed so that all claimants are entitled to up to $65 in compensation. So, if you purchased a “fat” PS3 between November 1, 2006 and April 1, 2010 (U.S.-only) you can make a claim. Just visit the website, fill out the claim form (including proof of ownership), and then sit back and wait for the check to arrive in the mail. This case has been dragging on for a long time. After all, it’s 12 years since Sony released the PS3, and eight since it dropped the “OtherOS” feature. Still, it looks like this sorry saga is finally coming to an end. And you may end up benefiting from it. While most of us have jumped ship to the new generation of consoles, this reminds me just how good the PlayStation 3 was. And the 10 best PS3 games 10 Of The Best PS3 Games You Must Play [MUO Gaming] 10 Of The Best PS3 Games You Must Play [MUO Gaming] This generation of games consoles is coming to an end, with the Wii U already having arrived to usher in the next-generation, and successors to both the PS3 and Xbox 360 expected in 2013. However,... Read More still stand up to scrutiny to this day. No wonder so many are being remade and remastered. Explore more about: Linux, PlayStation, Sony. Google Drops Pixel 3 Price By Half For Project Fi’s BirthdayNOOBS vs. BerryBoot: Which Is Best for Installing a Raspberry Pi OS? The hard part may be proving that I own it. I wonder if I have the receipt after 12 years. I do still have the box so it might be inside.